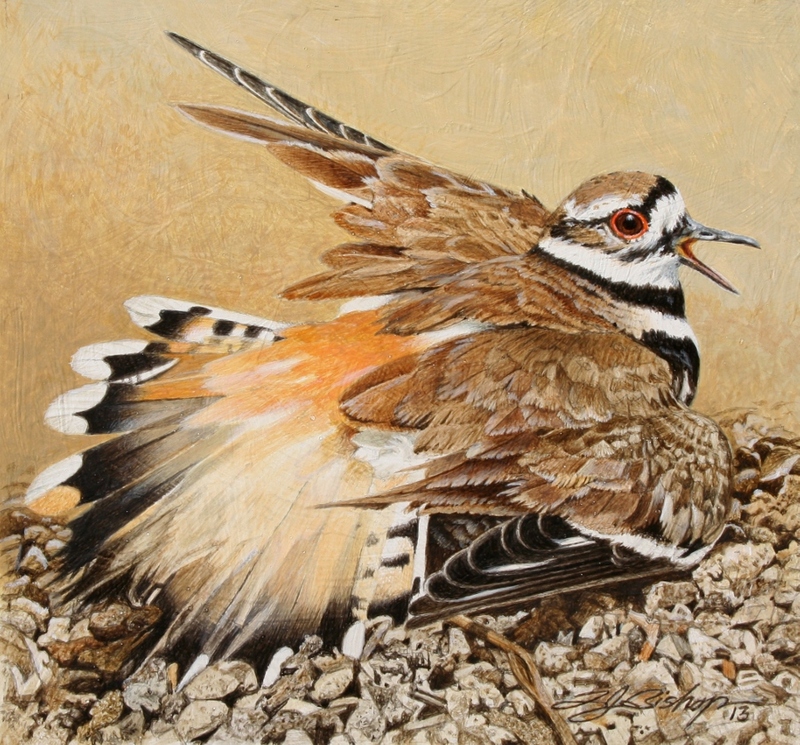 Even though young Killdeer hatch in a fluffy camouflage down and are very ready to run and hide themselves, their parents behavior will readily tell you whether the nest, or their chicks, are nearby. If a threat approaches, human or predator, one or both of the parents will go into a “display”, calling loudly and flopping along the ground as though they’ve gotten a broken wing or their injured in some fashion, thus distracting the attention of whatever is threatening their brood. Keeping up their displaying tactics, they will allow the threat to approach, then they’ll flutter away luring it further and further from the nest, or the chicks, in ever increasing distances. “The Exhibitionist” is part of a new series, where I’m introducing two artistic elements, a painting and a graphite sketch into a single frame. The paintings will be matted in an asymmetrical fashion allowing for additional space for some hand written comments plus a sketch, or Remarque, to be drawn adjacent to the text. 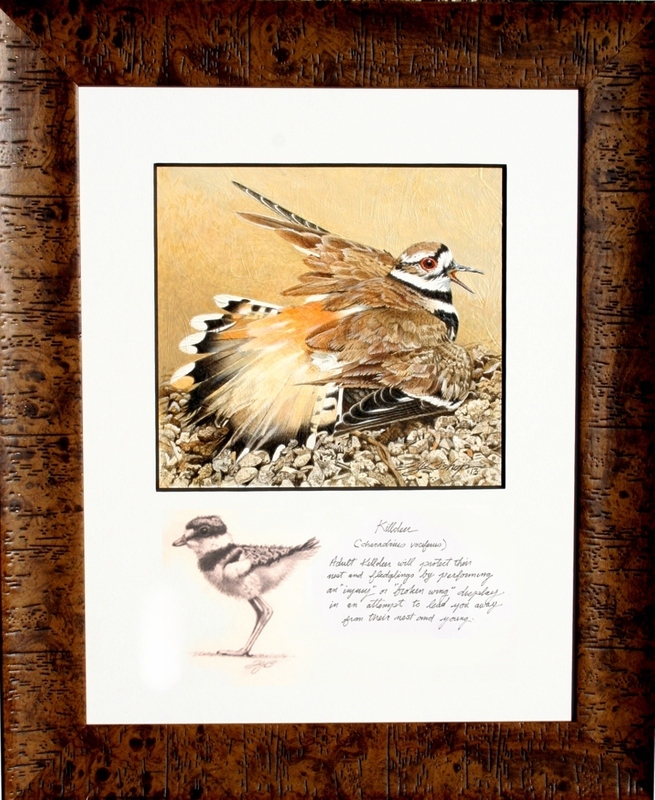 As with many artists, I’ve used Remarques and hand written passages to personalize prints and giclees. In this series, I’m doing basically the same thing although the Remarque(s) are being placed on the original piece versus a reproduction.